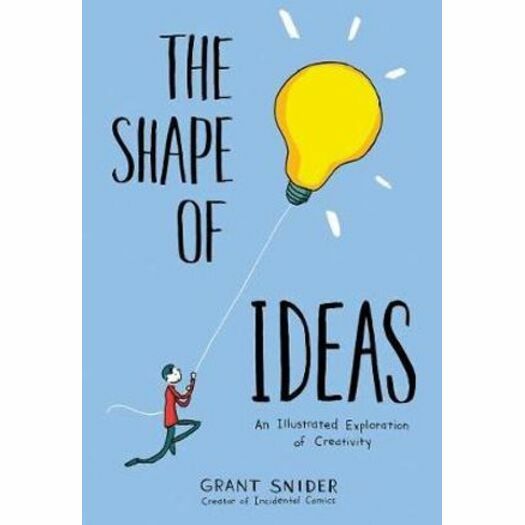 What does an idea look like? And where do they come from? Grant Snider's illustrations will motivate you to explore these questions, inspire you to come up with your own answers and, like all Gordian knots, prompt even more questions. Whether you are a professional artist or designer, a student pursuing a creative career, a person of faith, someone who likes walks on the beach, or a dreamer who sits on the front porch contemplating life, this collection of one- and two-page comics will provide insight into the joys and frustrations of creativity, inspiration, and process--no matter your age or creative background. Grant Snider is an orthodontist by day and an artist by night. His comics have been featured in the Kansas City Star, the New York Times, and the New York Times Book Review, as well as The Best American Comics in 2013. He lives in Wichita, Kansas, with his wife and three children.